Liquid wastes, like all other wet waste types, need to be dealt with safely and effectively. 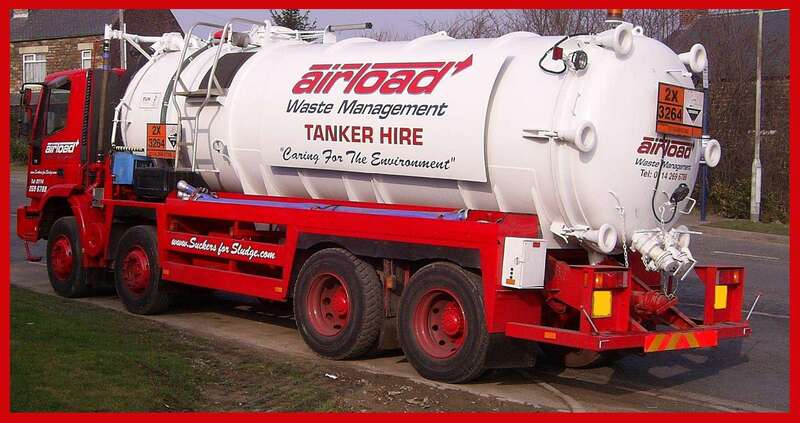 Liquid ring vacuum tankers are the best choice for the collection of all types of liquid wastes and for this reason they form a major part of Airload’s extensive fleet. Airload Environmental will not only handle your waste efficiently but also legally whilst at the same time keeping you informed on all matters of new legislation. Land treatment is the application of sludge or liquid waste, predominantly from the food industry, onto agricultural land. This type of waste acts as an alternative to artificial fertilisers providing a benefit to agriculture. Sludges and liquid wastes can be a valuable source of plant or crop nutrients, Airload recognise the importance and the need to recycle or reuse these products. By working in partnership with a network of farmers, we can ensure that this valuable source of nutrients is used effectively, helping to reduce the use of artificial fertilisers to land, providing a benefit to the environment. A dedicated service for garage forecourts, fleet management, car washing and distribution centers. Airload’s proven specialist experience within the food and drinks processing industries where the highest standards of cleanliness and quality maintenance are a prerequisite. In manufacturing, processing or production environments for the cleaning of both open and enclosed storage tanks, skimming storage tanks or treatment where viscous or frothy materials are involved Airload have the correct machines to achieve the final result. Liquid and sludge from spray booths in the metal fabrication industry, wood manufacturing or the automotive parts industry. For either commercial or domestic premises often in rural locations including such establishments as public houses, farms and all sizes of commercial operations. Local authorities benefit from Airloads extensive experience of pond emptying and cleaning, resulting in contaminated and polluted facilities being returned to attractive and beneficial local amenities. Sludge builds up in tanks, ponds, lagoons and vessels over time. The sludge needs to be removed at regular intervals in order to maintain a smooth running operation.